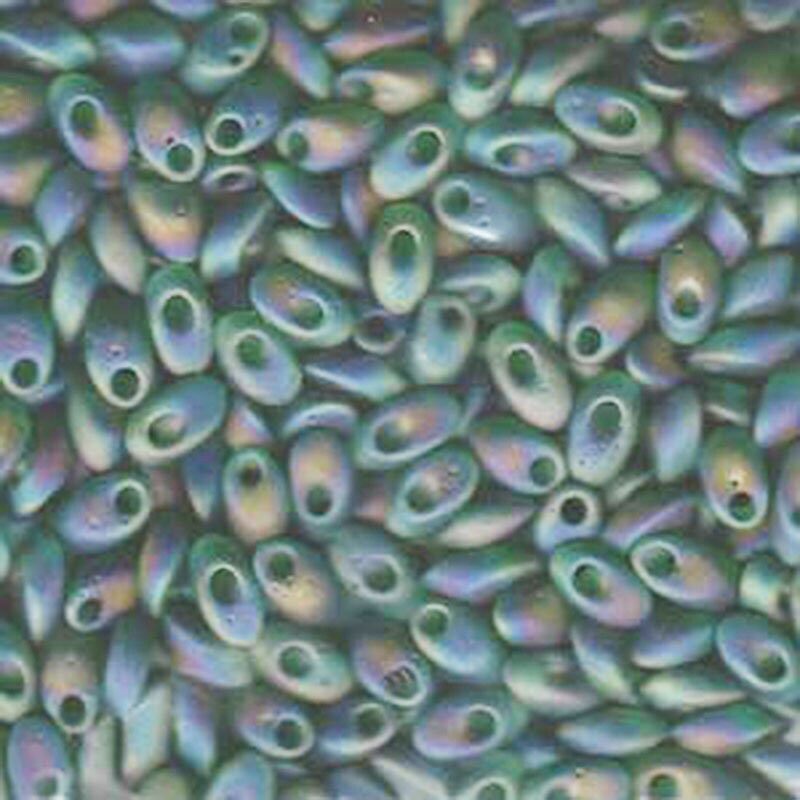 Matte Green Transparent AB Long Miyuki Magatama Drop Seed Beads measuring 7x4mm. You will receive one 12 gram tube. The color is phenomenal! Can't wait to use them.